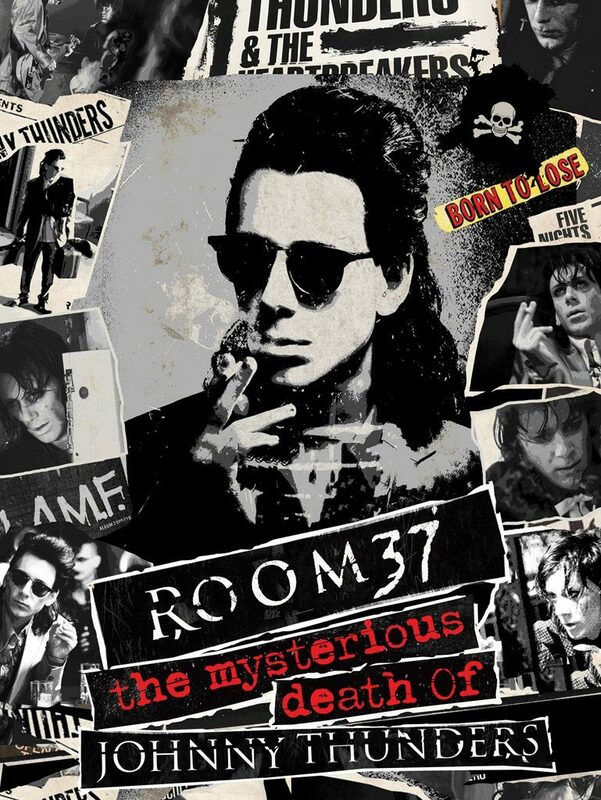 Cleopatra Entertainment To Release ‘Room 37 – The Mysterious Death of Johnny Thunders’ – Cleopatra Records, Inc.
Cleopatra Entertainment has set a release date for their production ROOM 37 – THE MYSTERIOUS DEATH OF JOHNNY THUNDERS, a supernatural horror-thriller written and directed by the Cordero Brothers – Vicente Cordero and Fernando Cordero Caballero. The film features Leo Ramsey, Devin McGregor Ketko, Timothy Lee-Priest, and Jason Lasater, and includes the infamous Johnny Thunders song “Born to Lose,” along with a vocal appearance by legendary New York Dolls member Sylvain Sylvain. Produced by Shanti Whitney, the film was executive produced by Brian Perera, Yvonne Perera, and co-produced by Tim Yasui. The film is also set for its UK premiere on March 24th at the second annual Sound Screen Music & Film Festival at the Regent Street Cinema in London, England, which runs from March 22nd thru March 27th. The premier occurs just weeks before the 28th Anniversary of Thunder’s mysterious death (April 23rd, 1991) and tickets for the premier can be purchased directly from the Theater here. Cleopatra will debut the film on Tuesday, May 21st worldwide on all VOD platforms.